For true-blue Jedis, owning a lightsaber is a mark of training and honour. I’ve always dreamt of being a Jedi Knight but there’s just one problem – you can’t get legit lightsabers in Singapore. You only have the option of the plastic lightsabers from Toys R Us or you end up buying a lightsaber from the US which can get pretty expensive. However, this dream of mine is about to become a reality thanks to Singapore company SaberMach, that specialises in high quality combat illuminated sabers. 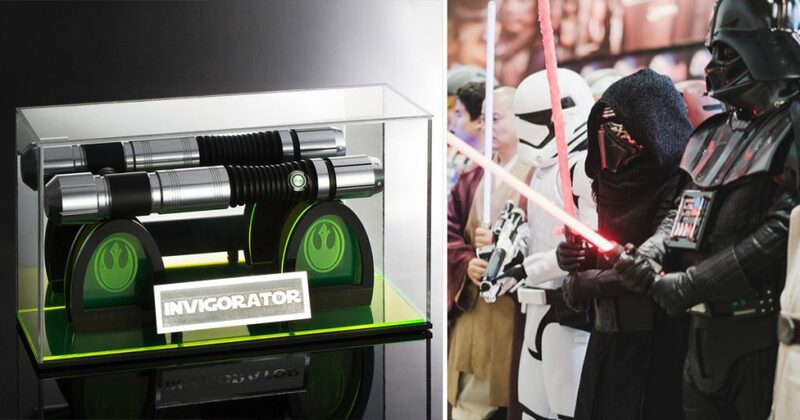 SaberMach is a Singapore brand focused on building high quality sabers for Star Wars enthusiasts. Started by two budget-conscious Singaporean Star Wars fan who could not afford lightsabers from the United States when they were in their teens, they joined forces to create the most badass sabers we’ve seen to date. Unlike the licensed replicas found in toyshops, SaberMach lightsabers are manufactured in-house and made for one purpose – combat duelling. This means that you can pretty much fight with these lightsabers but your body parts won’t get sliced off! For the lightsaber fanatics, the Master Series sabers ($759) is the ultimate choice for the complete saber experience. There are 7 hilts available from the Master series. I gotta say, they look pretty badass to me. 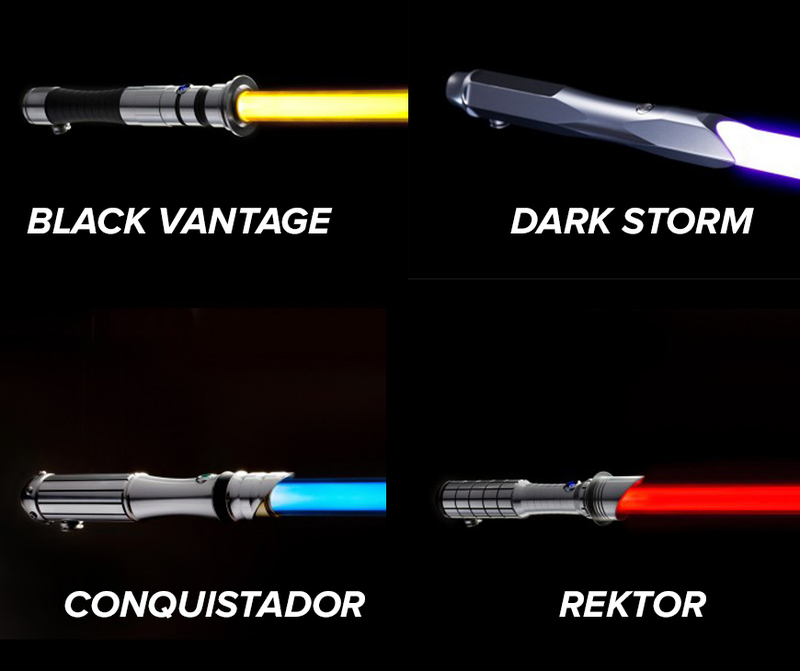 The Master Series saber provides up to 16 different LED colours in a single saber hilt and a flash-on-clash effect which is a flash of any color of light when your saber impacts on your opponent’s saber. 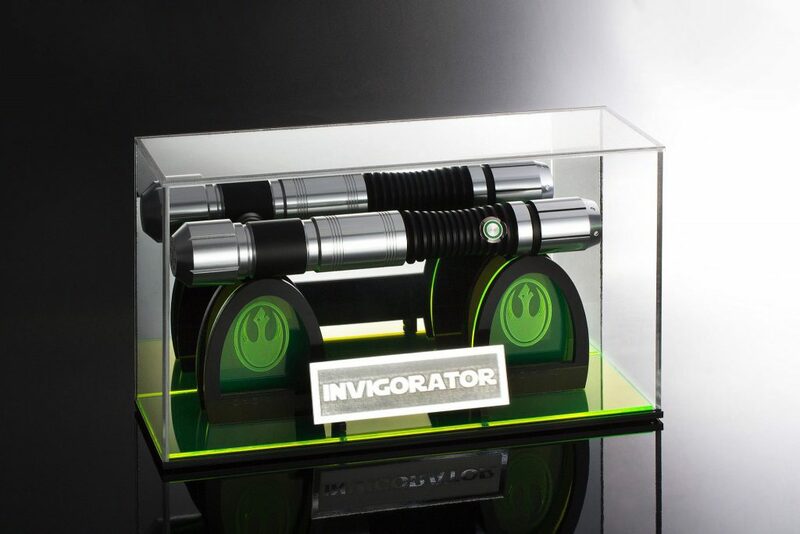 Best part, if you’re a collector, your saber comes with an acrylic casing for you to display your amazing hilts. If you’re looking for a saber that’s more suited for combat duelling, SaberMach came up with a Sportz MACH model ($549) which is meticulously handcrafted for faultless precision handling. Designed with serious combat in mind, its lightweight and sleek chassis is perfect for speed and accuracy. Fans can also choose to personalise their sabers by engraving their names or logos onto it. If you’re looking for a one of a kind lightsaber. SaberMach has expanded their services and is now taking custom 1 of a kind saber commissions. 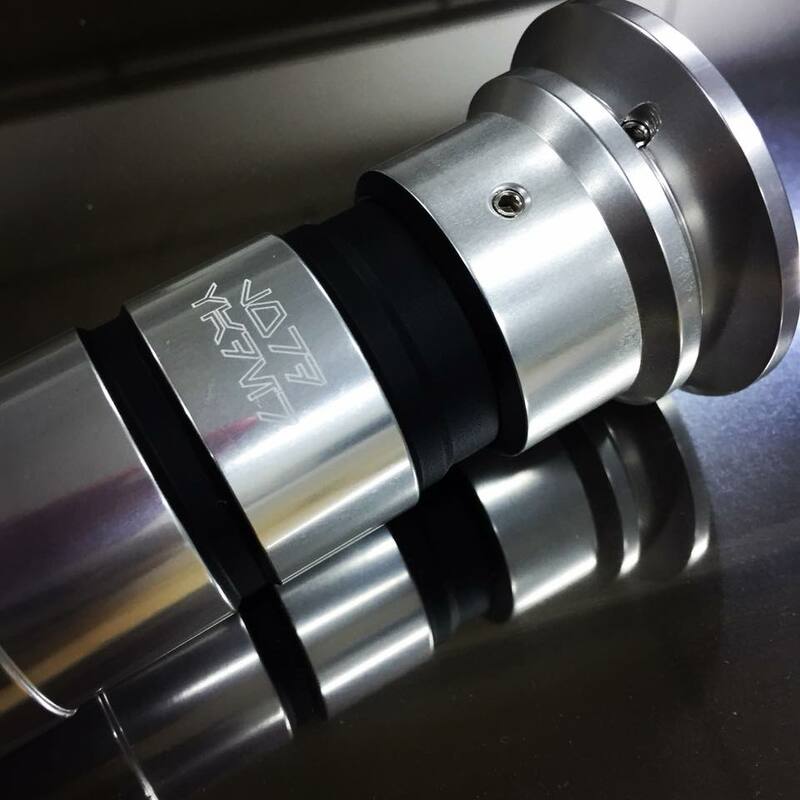 The custom sabers will come with the quality of their standard SaberMach products together with the electronic chassis system found in their premium sabers. 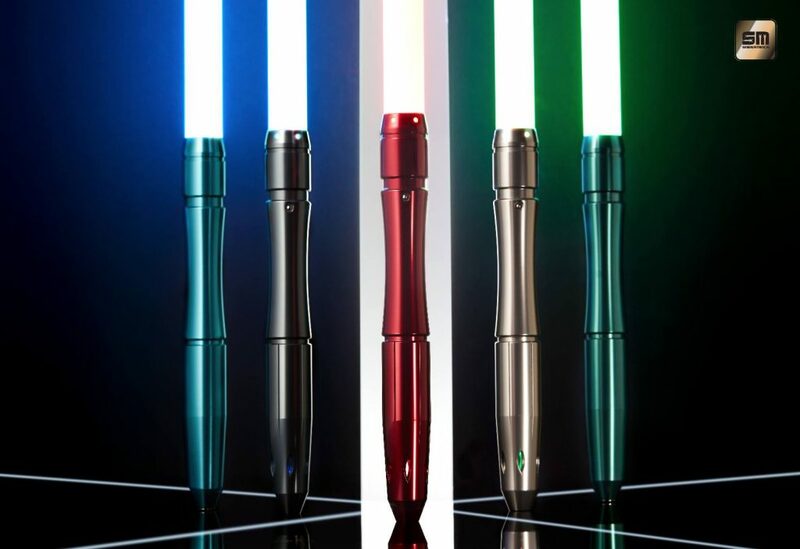 Just as a Jedi knight builds his or her own lightsaber by hand, every single SaberMach saber is hand-crafted from an anodized aluminum tube at Sabermach’s factory in Singapore. Owning a lightsaber has always been every geek’s lifelong dream and I can’t wait to get my hands on their creations!